Johnson Emmanuel is the creator of 6 different multi-million dollars unique marketing strategies, campaigns and systems . He is considered the #1 authority that architects Profitable Customer Acquisition,Sales Explosion & Exponential Revenue Growth for companies and businesses. Johnson Emmanuel is the founder of one of the fastest growing marketing agency in Africa, Havanzer (& 4 other successful companies), and he is one of the most sought after business growth & marketing strategists on the continent. He has consulted and advice businesses in 42 countries and in over 100 different industries, teaching over 650,000 people through his seminars, contents, and training, he’s an expert at helping companies massively generate sales and grow revenue exponentially while maximizing profit and 'goodwill'. London Graduate School recently nominated him for an honorary award in business because of his exceptional success at helping business owners succeed. 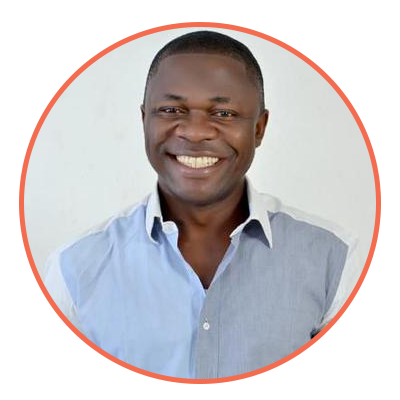 Johnson Emmanuel is best known for creating POWERFUL marketing strategies,campaigns and systems that resulted in massive customer generation, sales acceleration and rapid revenue growth for his clients' companies. They include ‘The sniper Method’, ‘The Magnetic machine’, ‘Emergency Cash Machine’, 'The Prescription Marketing Method', ‘The point and kill machine’, ‘The PPF system’ and many many more. Jokingly, his clients call him names like ‘the CEO of CEOs’, ‘The marketing beast’, ‘The marketing guru’, ‘The Ronaldo of marketing’, ‘The doctor of marketing’, etc. He has shared the stage with some Nigerian billion entrepreneurs Richard Nyong (Lekki Garden CEO), Akinwande Ademosun, Femi Osibona amongst others. Johnson Emmanuel is the ‘go to’ guy when it comes to growing a company faster, BIGGER and better. Johnson Emmanuel has proven himself with my company. I see exponential growth as a result of working with his company and his team. 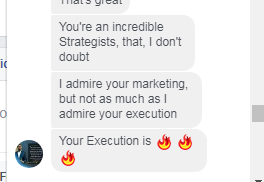 If you want to see massive growth in your business like me, he is the best marketing guru you need. 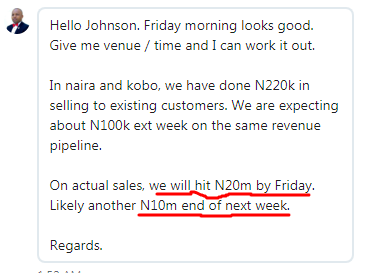 I believe Johnson Emmanuel is the best marketing expert I have seen so far. He’s passionate, plain, smart and very frank. He produces quick and unbelievable results. As a result of working with his marketing firm, I see a 500% growth in revenue . Mr Emmanuel will push you until you succeed. I LOVE him! DON'T ask yourself if Johnson can produce result for you. Instead, ask yourself ...'Will Johnson agree to work with us?' because he knows how to create miracles. Hi, I’m Johnson Emmanuel, and it is my pleasure to ‘meet’ you today. First and foremost, how are you doing? I’m going to be talking to you as if I am talking to a friend that is sitting right next to me because that is how I consider you, a friend. I’m a ‘sweetheart’ to one amazing woman, ‘spiritual’ father to many and ‘made’ in Nigeria but transforming lives and businesses globally. All my life, I have been surrounded by entrepreneurs. When I was a little boy back in Benin City, I ‘outclassed’ my mum and ‘stole’ her customers’ right before her own eyes. You see,my mum is a business woman to the core, she’s awesome. When I was a little kid I use to assist her to go sell her stuffs but I became so good that even her customers preferred to buy from me instead of her. I noticed that mum was jealous, LOL! No, it wasn’t because they just loved me as a kid, it was because I ‘disrupted’ the entire market. We use to sell our stuff in a major motor spare parts in Benin, it’s call Evbareke Motor spare parts market. So, my mum and her competitors had all the customers. I knew no body there. One day I walked into the motor spare parts market with a strategy. You see, in business and life, your strategy will determine if you will win or lose. Anyway,I knew they (the people at the motor spare parts market) didn’t know me, I needed to stand out in the market and make sales,repeatedly. Before you could say 'Jack', they couldnt help falling in love with a small young hustler always screaming 'Stop! See me here'. It was a lovely experience, everyone wanted to do business with a ‘funny kid’ and within few weeks, I ‘stole’ all my mum's customers. I was so good that I would sell everything given to me and my mum’s. Within few months, my mum and I took over the entire market and our competitors couldn’t cope, they had to leave the market for us. Most people are afraid of competition. I am NOT. I love competition a lot because it takes me to the ‘drawing table’ and it makes me know that there’s money in that particular market because if there’s no money, people will not be competing there. I won't lie, when I eventually launched my first business, it wasn’t funny at all. I tried all the things the ‘gurus’ and ‘top experts’ ask me to do but I failed woefully. I tried to hire an international advertising agency but the result they brought was abysmal. I thought it was my fault and the fault of my product and service. On a serious note,I thought something was wrong with me because my failure was woefully. As a matter of fact, I was suspecting one of my cousins whose father is a ‘chief priest’ in my village. Since he was the only son, I thought his father ‘stole’ my destiny to make his son rich. I know it’s funny but have you ever reached a point in your life where everybody around you is a ‘suspect’? That was exactly the point I was in. I couldn’t get customers, I couldn’t grow my revenue and needless to say my business ‘refused’ to grow. If I wanted to get grow my revenue, I needed to get make sales and customers, right? So, what that means is that, NO customers equal no revenue. I was working very hard but the result was POOR. My business was dying before my very eyes. My growth is deliberate. It is not accidental. Although I’m friends to a lot of influential people today because of the incredible results I bring to the bottom-line of their companies but it wasn’t always like that. For one whole year, I locked up myself in a small room. I started to buy all the programs, books, audios and anything that relates to business growth. I started studying multi-billion dollar businesses like coca-cola, Facebook, Domino and many other companies who are already doing extremely well. I wanted to know what was going behind their mind when they launch their businesses or products, and most importantly, how they were achieving incredible results. I made friends with either the owner of the business or the head of marketing. The next year, I took everything I learnt and distilled It into a system and started implementing the strategies into my business. The first time I implemented it, it failed. I took it again, refined it some more, guess what happened? I was confused and almost gave up but the Johnson Emmanuel 'inside' of me wouldnt let me give up. So, i got my team together to tweak it some more. I was in a state of 'ecstasy'. You know when you are a child and it is chrismas, that feeling. So,I repeated it again and it worked again. I launched another business, customized the system and implemented it on it, it also worked. I started to help other companies that had the issues with getting clients & customers on a consistent, predictable and reliable basis and their revenue blew up. In 2008, I launched my first digital marketing agency exclusively for the international market, we did (still doing) wonders’ for businesses in US, Canada, Australia, New Zealand, Europe and some parts of middle east. 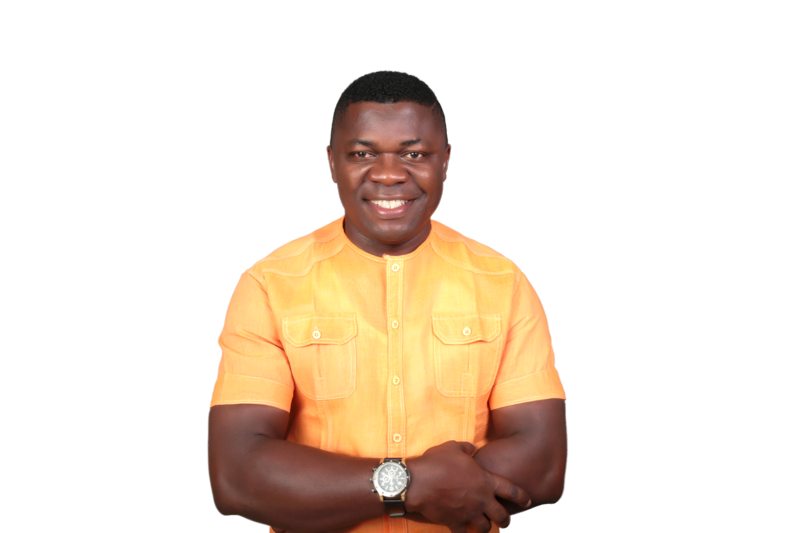 ‘Johnson Emmanuel and his team can create miracles for any business in any market, no matter your price point, no matter the country you want to target’. It was then that I knew that it doesn’t matter where you come from, if you can get people life-changing results, they will careless about where you come from. Developed, underdeveloping or overdeveloped country, black or white, people don’t care. They care ONLY about the result you can provide. Trust me, we charge higher fees than most of our American competitors yet we have more clients than them. My clients have been featured on top media outlets like CNN,Forbes, INC and many others. In 2016,I made a huge decision and that was to launch what is now known as the fastest growing digital marketing agency in Nigeria. An advertising agency whose only focus is revenue growth. I didn’t want to launch any digital marketing agency in Nigeria but my friends ‘blackmailed me’. They said I was been wicked because businesses were folding up and that I should please come to the rescue of businesses with ‘my marketing skills’. Like the typical Nigeria politician would say…’I had to listen to the clarion call of my people’. It was truly a great decision because so many businesses were going down at the time. It was the heat of the recession In Nigeria. When folks heard that I was now accepting Nigerian clients, they started besieging us. We starting having a long queue of top companies on the continent waiting patiently on our ‘wait list’. In fact, there was a case of this company who brought their entire staff to beg us to work with them. They said they had tried all the ‘marketing gurus’ & 'big name' advertising agencies in Nigeria but there was nothing to show for the millions they had spent. We created ‘miracle’ for this company. We took on other companies and we kept creating ‘miracles’ for their businesses. 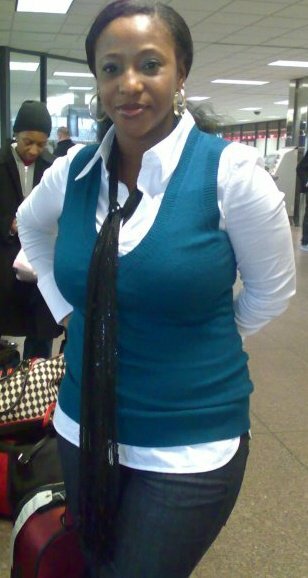 It was then I was nicknamed Africa’s #1 Business growth & Marketing strategist. Nothing makes me happy like growing businesses. It is my life. I won't complain. Business is great, life is also great. However, those are not the things that make me happy. I love growing businesses and making the owners happy. Take the case of one of my clients who runs one of the leading restaurants in Nigeria. She flew all the way from Portharcourt to meet with me in Lagos. Her business was almost dead. They had invested over 25 million naira but nothing to show for it. Just like me, she started to suspect her competitors. 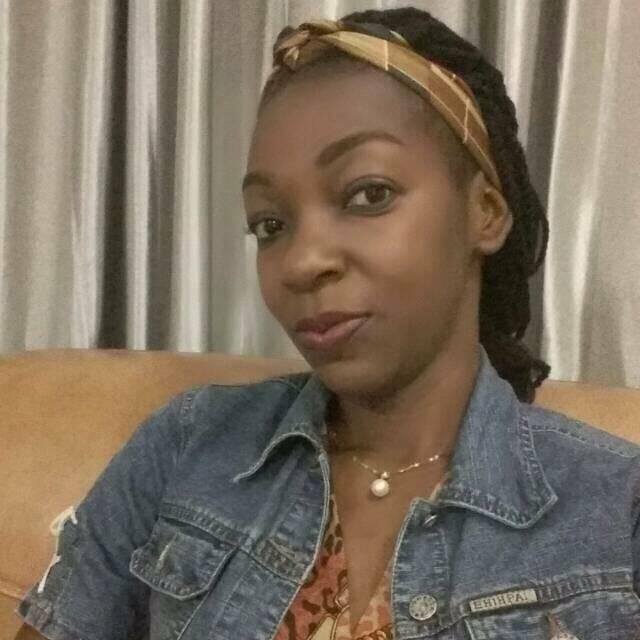 She thought a ‘juju’ was planted within her business premises. 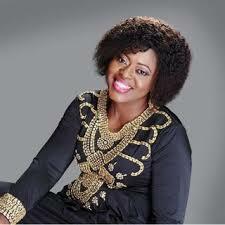 So, she started going to visit all the prayer houses she could find but her problem persisted. 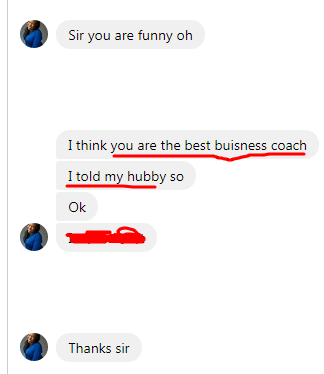 When I eventually accepted to work with her, just within 72hours, she saw a dramatic turn around that she has never ever seen in her business in the last 5years and today, she has clients like Diamond banks, British council, top schools and many other companies as clients. That is what makes me happy, that is what makes me fulfilled. Another of our clients in the travel industry was about closing her business. The recession of 2016 hit their company so bad that they thought ‘well, this was it!’ but when we got working together, everything changed. That is what makes me happy. It is what gives me fulfillment in my life. I could go on and go. The results are matchless. I’m not your typical digital marketing consultant. I’m a business growth & Marketing strategist with a full focus on revenue growth. I’m the kind of internet marketing consultant who not only use online marketing strategies but combine it with other marketing strategies to get you the result that will make your bankers call your phone. I’m 100% FOCUSED ON REVENUE GROWTH, I’m interested in boosting your bottom-line of businesses. Working with me is working with the 'best of the best’. I provide Consistent, Reliable, and Predictable Growth for any serious business owner, CEO,or entrepreneur. I help businesses rapidly scale revenue by getting more clients / customers using customized digital marketing strategies and I am the guy behind the digital marketing campaigns with the highest ROI on the continent. I’m known as the guy who developed customized marketing campaigns that resulted in huge revenue growth for businesses. I do marketing better than anyone else because there’s a marriage between my marketing strategies (& campaigns) and human psychologically behavior which means, you will not only be able to sell more of your stuff but you will do it in a such a way that your customers will be very happy while you smile to the bank. We specialize in working with high growth companies including thought-leaders, influencers, professional service providers, ecommerce companies, tech companies and big brands. I work with ONLY people and companies who are ready to experience HUGE GROWTH. We run high yielding customized digital (& non-digital) campaigns whether that is through our fully managed private client work, our consulting, our coaching, our intensive training events or keynote speaking. As a business growth & marketing strategist, I'm also the founder & head of growth of the fastest growing digital marketing agency in Lagos and indeed, Africa & we are 100% focused on revenue growth, growing businesses is my expertise, hobby and passion. The only ROI we know is the most important ROI, that is revenue and profit! Judge us by how much money we are able to drive into your business, that is what we care about and we know that is what is important to you. Want Massive Customer Acquisition to Grow Your Business? It Pays to be the best. It pays more to work with the best. Did I tell you I have been featured on top-ranked US based Podcasts? 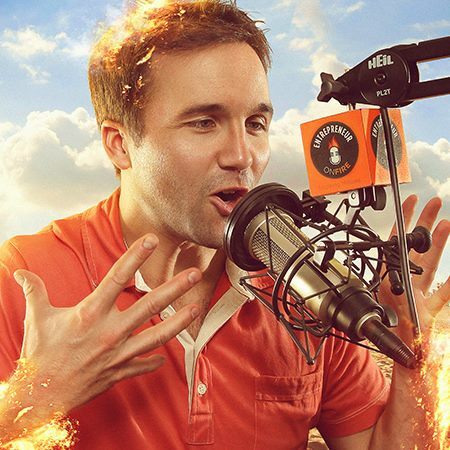 Well, I have been on the 'hot seat' of top-ranked US podcasts with more than 5 million listeners around the world. Our Company was going through serious challenges. We had sink in over 25Million naira but nothing to show for it. I had to take a leap of faith to fly to Lagos from PH to go meet Johnson Emmanuel and that singular decision saved our business. We are still reaping the benefit of people who came to us through his marketing strategy , it would never have been possible without his help. Thank you so much, mentor of mentors, it’s a privileged knowing you. I strongly believe that every business should have a system that generate clients and revenue on a consistent, reliable and predictable basis. I believe that every money spent for the sake of marketing is an investment and NOT an expense. Therefore, you need to have more budgets for marketing & sales than anything else in your business. I believe that your entire marketing process and system should be very simple because if it is complex, you will spend all your time and energy fixing the complexity instead of actually growing your business. I believe that the best product with the best marketing should win. I believe that I shouldn’t show YOU any marketing system, principle, strategies or program until it has been thoroughly researched, rigorously tested and 99.9% proven. I believe that all your marketing efforts, tools and strategies should make the consumer feel happy and that they (the consumer) should feel like the winner ALWAYS. I believe that the best ideas often come from the most unlikely place. I believe that all your entire marketing strategies, campaigns and efforts should be more psychological than logical because people buy out of ‘emotion’. I believe that if you have to rely on deception and manipulation to sell your products and services, your business doesn’t deserve to exit. I believe that ‘information’ is worthless but ‘transformation and execution’ are awesome. I believe that I DON’T deserve your money if my product and service cannot create a ‘miracle’ in your life or business. I believe in saying ‘Thank you sir or ma’am’, “I’m sorry’. I believe that you should never, ever stop learning new things everyday. I believe that (small) businesses can change the world and I believe I can help (small) businesses grow and succeed, therefore, I believe I can change the world. I believe I can change the world! We love what we do and we love all our customers. We learn from our customers, We marry our customers. First, let me warn you upfront. I DON'T work with everybody and chances are that I may not accept to work with you. I carefully handpick people I work with. It is NOT about hiring a digital marketing consultant, a top Nigerian business coach or consultant, it is about bringing results to the table. Working with me is working with the best. Just recently, a top CEO in this country bought 2,000 copies of my book because he wanted to get my attention. Another CEO flew all the way from Enugu to Lagos just to have lunch with me for 45 minutes and pick my brain. The ONLY challenge is that I'm pressed for time, that is why i have clients who stay on my 'wait list' for 6months or even more. Anyway, there are several ways we can work together. It could be through my consulting, coaching, intensive/workshop, 'done for you' marketing campaigns, etc. My programs include THE MONETIZED for those seeking to launch a new business. THE ACCELERATORS for those who already have a business but want to 'accelerate' the business. PERPETUAL GROWTH for those who are already flying and want to keeping flying. EXPENSIVE BUYERS for those who want to sell expensive stuff, anything from N50,000 to N500 Million naira. THE EXECUTIONERS for those who want me to personally setup and manage all their marketing campaigns. THE KICK-OFF for those who want me to come train their team for 2 or 3days and Speaking for those who want me to come speak at their event. However, I'm very, very picky. I turn down application of a whooping 47% of people who seek to work with us and that is why you MUST go through our 'clients selection' process to stand a chance to work with me and my team. We often hear clients scream 'Thank God!' whenever we agree to work together because they know we can create 'miracles' in their businesses. It PAYS to work with the 'absolute best'. I have two FREEBIES for you, just click the button that applies to you.